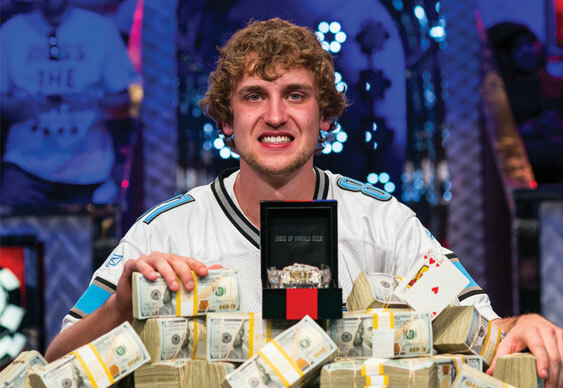 When you win the World Series Of Poker (WSOP) main event there are certainly a few perks aside from the millions of extra dollars in your bankroll. Indeed, as Ryan Riess recently found out, being the world champion can get you access to a celebrity lifestyle that includes things like charity basketball games. Thanks to the 2013 WSOP main event champion’s Twitter feed we got to see him doing his thing on the basketball court alongside the likes of actor Christopher 'McLovin' Mintz-Plasse of Superbad fame, NFL player Terrell Owens and Hunger Games star Josh Hutcherson. The celebrity game of hoops was partially organised by Hutcherson in aid of Straight But Not Narrow, an organisation designed to educate young people about homosexual relationships. Quite how much of a part Riess played in the game is unclear although he did appear to block a dunk by American rapper Percy ‘Lil Romeo’ Miller as his social media account team won by 78 points to 55.